Niloufar is probably the most popular song in Iran pop music. 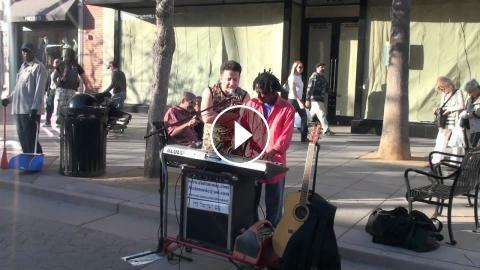 Evidence, this american street artist in Los Angeles 3rd street Promenade singing & playing Kouros version of Niloufar from Andy & Kouros Balla Album. A proud moment for Iranian music and how far & deep it has influenced its surroundings.